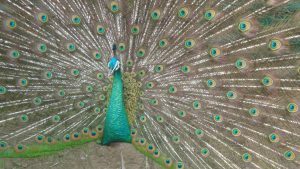 Peacocks are such beautiful and wonderful birds they are always seen as fascinating, here are five unknown fascinating peacock facts. It is not widely known but Peacocks do not like snakes. A peacock or peahen will not let snakes live within their territory. If they find a snake they will actively fight with it, even if it is a poisonous snake. They will also eat snakes. The peacock is the world’s largest flying bird. At night they love to perch in trees, on top of buildings or indeed anywhere off the ground. However when it comes to nest building, they choose to build their nests on the ground. They will did out a shallow indent in the ground and line it with sticks and feathers, to make it a safe haven for their eggs. If you would like some beautiful peacock feathers then the good news is that you do not have to kill the peacock to get some. 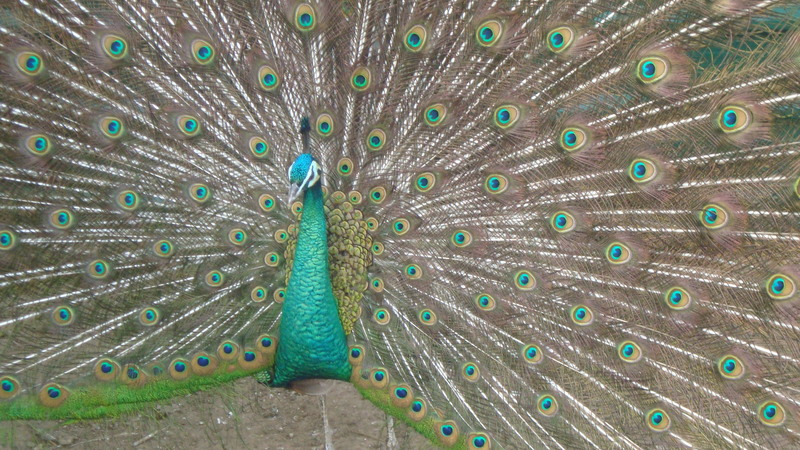 Every year just after the breeding season the male peafowl sheds its entire tail. Within a short period of time over two weeks all the tail feathers have fallen out. It is then easy to collect the feathers off the ground. Sadly the peafowl are unable to swim, they have four toes on their feet. Three toes face forward and one toe faces backwards. This unique combination of toes enables the peacock to perch easily on branches of trees. They do not have webbed feet which are necessary for birds to actively swim. Also their feathers do not help them to be able to swim. One unknown fact is that peachicks really love to play games. They will chase each other around a bush or in a pen. They love to play with discarded feathers and will chase the peachick which has the feather. What is fascinating is that the peachicks will all run around in the same direction for example all run clockwise. The love to play in the sunshine. I hope you enjoyed reading these fascinating peacock facts.